Summon summer with this flavorful and colorful quinoa tabbouleh with Kombucha Fire. Looking for Market Staff Spring - Fall. Sending some love and lots of free kombucha out to Wilmington during the month of February. Help us spread the love! Learn about our Kombucha Fire and try out this yummy, zesty recipe for Kombucha Fire Guacamole! So many of you have asked us to open on Sundays, we just couldn't keep the door closed. 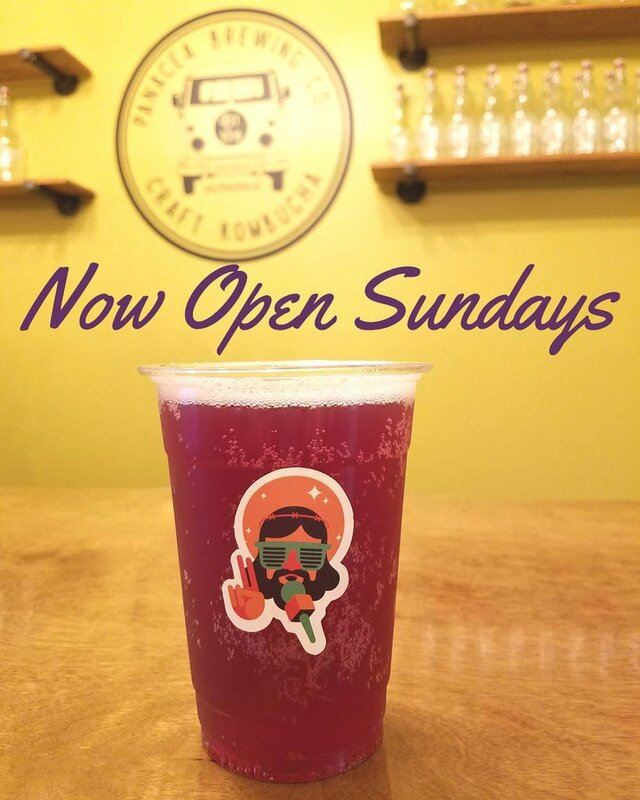 Welcome to Panacea Brewing Company, where you can get fresh, local kombucha on tap 6 days a week. Open now Tuesday- Sunday 10AM- 7PM.